Kairen’s been after these oil cans for some time. They arrived today. It’s Good Friday and as I’m on the mend we have a baking session. 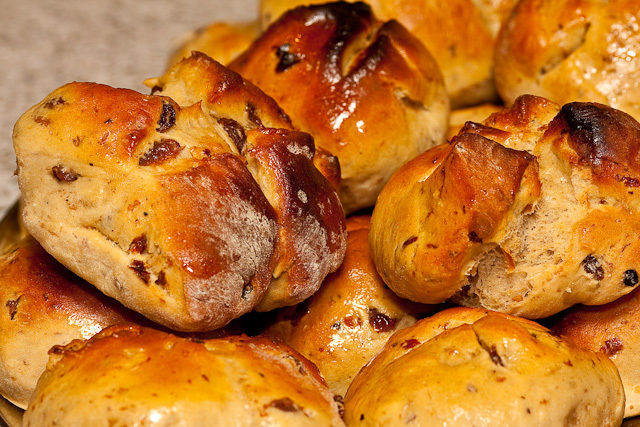 Fresh hot cross buns yum! An opportunity go back to themes….my good friend Ray suggested ‘Clocks‘. Anyone who has visited our house would cry fowl, given that we have one or two! 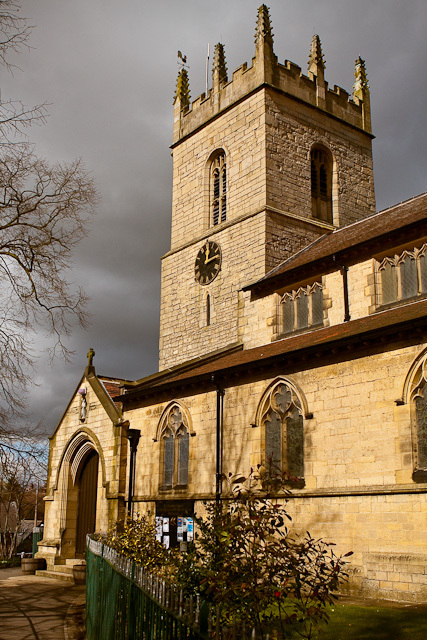 The church in our village is Norman (11th Century). The sky was threatening and we managed to avoid the eventual rain. A nice sunny day…. but so cold. 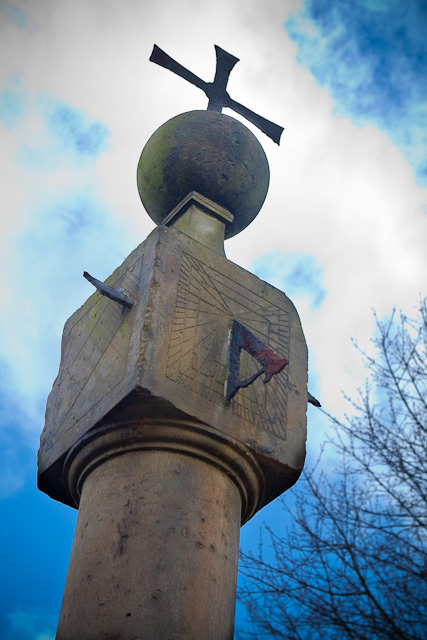 Our village cross, which was the centre of village activities for hundreds of years, bears a sundial on the top of it’s column. The base is thought to be Norman, but more likely to be 14th century with the column being added in the late 17th century. A plaque at the base of the cross reads “This plaque was erected to commemorate the successful campaign to keep Barlborough in Derbyshire (1969 to 1971)”. A day for staying indoors! 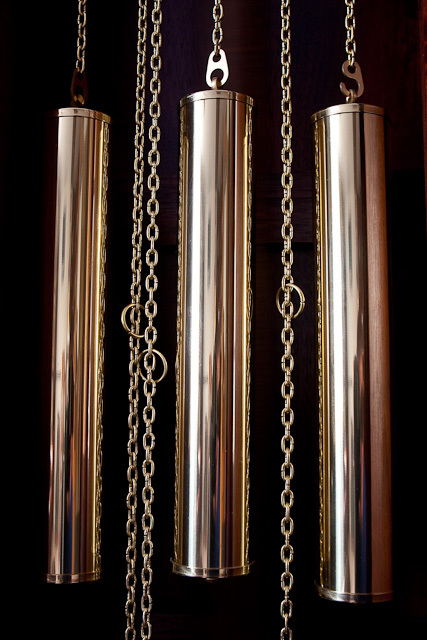 I just love the richness of the materials used in clocks. This is the face of ’Harry’ our arched dial longcase clock with a glazed trunk door in English Oak. His proper name is ‘Henry James’. His hand engraved brass and silver dial was lovingly made in Sheffield. 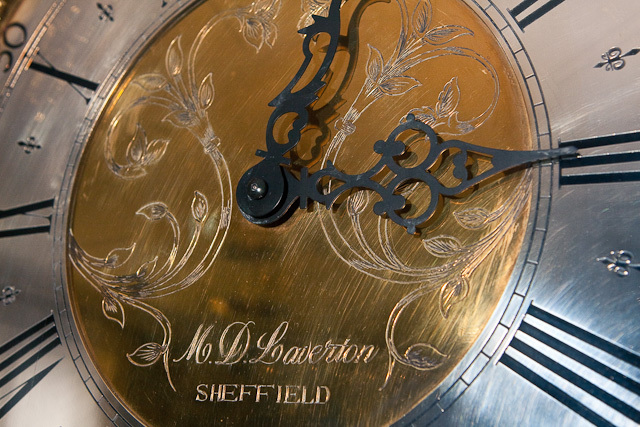 The hand engraving is a special skill synonymous with the metal working heritage of Sheffield, and a decoration that can be found on clocks from the eighteenth century. In essence hand engraving is the art of removing metal by cutting with a small chisel held in one’s hand. The special quality of hand engraving which differs from machine engraving is that not only is each one unique but the grooves cut become calligraphic and not symmetrical. Also an engraver can have true artistic abilities such as can be clearly seen. In today’s world of automation it is a unique enhancement and probably not seen on any other clocks made today. 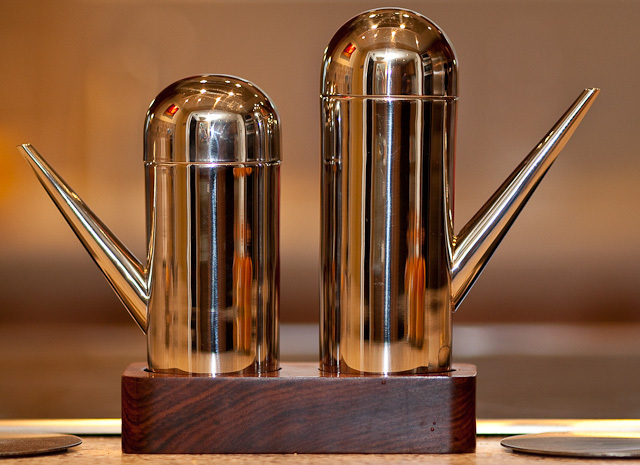 Mark Laverton is one of the few craftsmen still making clocks by hand. He starts from solid oak and builds every component, only the movements are bought in from Germany (Hermle). Each one of his Grandfather clocks being an individual starts off life with its own name, so he knows who has gone where. 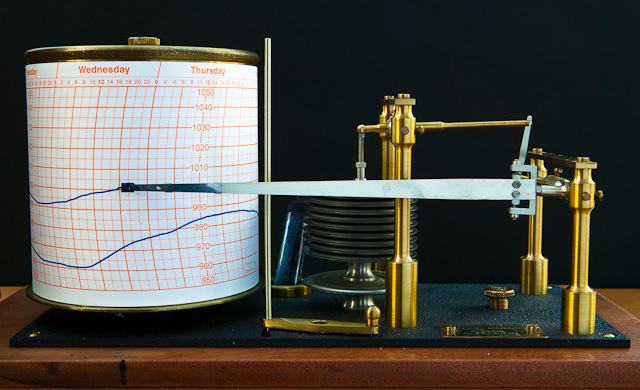 Negretti & Zambra are one of the most important manufacturers of Barographs. Whilst they are not a clock, they do have a clock mechanism to drive the drum and record the atmospheric pressure. This is an 8 day model which for many years was the recording instrument for a Scottish coal mine. Many thanks to my good friend Tom who generously gave it to me to restore, keep and cherish.